If you’re indicted for war crimes, “But they started it!” is not a particularly weighty defence – even if it’s true. 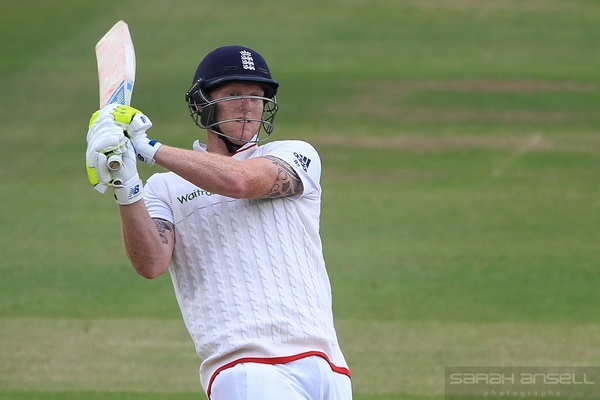 It’s some way down the scale, but the same principle still holds true with Ben Stokes. Today’s confirmation that he was defending two gay men when he rained all those punches down on a pair of fellas in Bristol doesn’t really change anything. Why it happened doesn’t change what happened. We (somehow) covered exactly this yesterday. It’s entirely possible to do wrong even when you start off in the right. If only Stokes had done the same. Kai knows that if you’re going to step in and fight for the forces of good in every conflict you come across, you’re in for a long night. “If you ever see fights, you let it pass. It’s just Bristol town. You see it every night you go out,” he said. These latest revelations are so staggeringly unimportant in the grand scheme of things that we were at least hoping to end this article by bringing you a little bit of insight into the offerings from Quigley’s takeaway. Sadly, our Bristol correspondent didn’t manage to get back to us before our deadline, so we can’t even give you that. Thanks for the link to a long article in The Sun, KC. I think that might be the first time I have ever read one of those all the way through. That article is rich with “cricketer spotted” material from Kai and his pal. I do have a “Bob Willis spotted in wine bar” story, which I offered to Badger back in the day, but it was rejected because the story was too elaborate and Badger’s desire for Willis spotted stories was “on the train or nothing” in those days – possibly still is. Daisy’s latest obsession on eateries is the food hygiene rating. I am pleased to report that Quigley’s scores 4 (maximum = 5), although the 10 negative marks on hygiene itself would be a slight worry for me. The menu sites report on Quigley’s no more recently than 2015, but I am pleased to report a peri-peri chicken option, which would have no doubt satisfied the Nandos-trained tastes of Mr Stokes, had he chosen to join the small lads for a quick bite rather than join in combat with the larger lads for a disturbingly lengthy fight. Mr Hales is also partial to Nandos-style chicken, if I remember correctly. Bored of all this now. Can they start playing cricket soon please? A man who is bored of little-known takeaways in a city in which he does not live is bored of life. I’m getting a bit frustrated by all the attempts to justify what is still clearly appalling decision-making. Cheesy chips are not an acceptable accompaniment for a chicken burger. I don’t normally disagree with an entire article on this site, but I do with this one. One of my rugby teammates from years back was gay, and was getting some abuse from some former pupils of his (he was a teacher) on a night out. Not especially physical, but definitely threatening and extremely vile. Our scrum half saw what was happening, and offered what is now called “The Stokes Defence.” All sorted and no more problems. Obviously there is a threshold that needs to be crossed before a physical intervention is allowed, but pissed and threatening behaviour towards gay men is definitely over that threshold. The numerous cases of homophobic physical assault, most of which begin like this incident began, suggest that some intervention is a necessary thing. And when you stand up against someone who then picks up and brandishes a bottle, I don’t see what choice you have. What was Stokes supposed to do, wait till the bottle had been broken? The reason it started is everything, because it means Stokes was not the aggressor. What happened after that might not have been wise, but it would appear to have been entirely reasonable and not immoral. Would the world be a better place or a worse place with more of this happening? My opinion is that it would be better, because people who need to physically threaten gay men need to feel the results of that on themselves. Irritatingly, I agree to a large extent with both you and KC, Bert. KC is correct that very little has changed, because international cricketers should not still be out on the lash at 2:30 am in the middle of a series. They also shouldn’t be so drunk that their actions might be (or seem) disproportionate and/or out of control. KC is also correct that we (members of the public) still only have fragmentary evidence on this matter. But you are correct, Bert, that physical intervention in the circumstances described is justified, for the reasons you state. For the police matter, homophobic threats and bottle-wielding are important, possibly vital elements of the evidence, impacting on the decision whether or not to charge people with offences. But for the ECB disciplinary matter, little if anything has changed. We’re not saying he shouldn’t have hit them. We’re maybe saying he shouldn’t have carried on hitting them for quite so long. The two lads wandered off halfway through. It was quite protracted. He was arrested for assault. He’s on bail. How about we wait until the police either charge him or release him, and until then he is suspended from work? It’s not a switch that can just be turned off. His judgement at that late stage is compromised by the aggression necessary to follow through on his first uncompromised judgement. The initial reasons are everything. And I would tend to agree, Sam, that the police should sort this out. Except that I cannot understand why it hasn’t already been sorted out, given that he is currently being effectively punished by the delay. I think he (and anyone) is allowed to demand to be charged or not. And if the police aren’t going to do this, the ECB should assume that no charges will be brought until they actually are. And just to say further, international sportsmen and women do need to be judged against a higher standard. They are required to behave as role models, or at least as any reasonable member of society would. And in that regard, irrespective of the police judgement, Stokes has passed. If my son had done the same thing, I would be proud of him. Point taken about his judgement being compromised by the aggression necessary to follow through in the first place. There must surely come a point when it’s ‘too much’ though. Suppose our main point of difference with you is where we would draw that line. While the other guy was still brandishing a bottle rather than running away he was still a threat and Stokes was right to keep swinging. Did he still have the bottle? Thought it went quite early on. We’d watch it again but don’t really want to. My dog looks like Ben Stokes. Did you see the similarity in the photo, KC? Is this a joke that’s too sophisticated for us again or have we not been checking our email? Phew. Will check when we’re next at a computer (tomorrow). I don’t see it. Not even in junk mail (which I now pretty much treat as my inbox being as that’s where everything seems to end up). Sent again, and a cricket bat in an unusual place in case that one went into the ether as well.